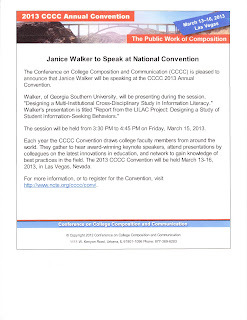 Join us at CCCC in Las Vegas. Session K.34, Friday, March 15, 2013, 3:30-4:45pm. "Designing a Multi-Institutional Cross-Disciplinary Study in Information Literacy."